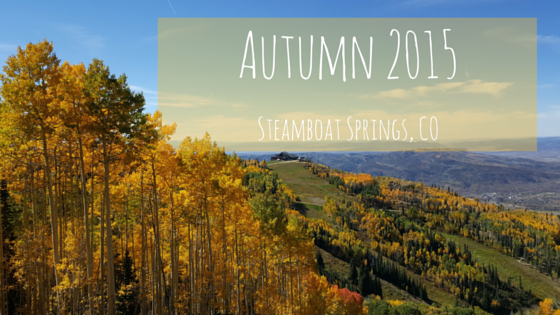 Steamboat Springs Fall 2015 colors peak late September/early October. Aspen trees dominate the Steamboat Springs Autumn landscape. The aspen trees cover the surrounding mountains, blending with groups of dark evergreens. Bright yellows and oranges contrast with dark greens everywhere you look in the Yampa Valley. Our Autumn photos were captured during a hike around Steamboat Ski Resort on September 26, 2015.